Good. English bluebells (Hyacinthoides non-scripta) are hardy to -30C (-20F). Ferns and primroses make lovely neighbors, but bluebells are often planted in large swaths for a natural look. Set out dormant bulbs in the autumn, planting them 10cm (4 inches) deep. Set out container-grown plants in spring. Plant in large groups.Set out dormant bulbs in the autumn, planting them 10cm (4 inches) deep. Set out container-grown plants in spring. Plant in large groups. Bluebells have few problems with pests and diseases. 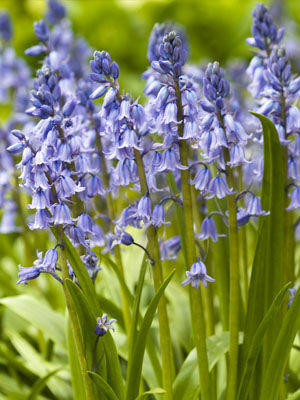 Bluebells are best treated as annuals in warmer areas such as the tropics and subtropics.